Just got my CD copy of Peter Gabriel‘s newest project, “New Blood” — an orchestral rehashing of a number of his classic songs. He revisited the studio, recording entirely new versions of tracks with a full orchestra and without drum kit or guitar. 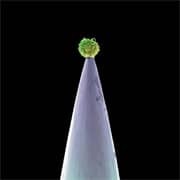 As a long-time Peter Gabriel fan, I couldn’t wait to get my hands on the album. My verdict: it’s a pleasure. “New Blood” feels like bearing witness a musical experiment. At times it feels just that–experimental. I’m still not sure that “Solsbury Hill” and “Intruder” benefit from the orchestral arrangements; nonetheless I’m glad to hear a new interpretation. Every track on the album makes me contemplate the songs afresh. “Wallflower“, “Red Rain”, “Don’t Give Up”, “San Jacinto”, and “Blood of Eden” particularly shine. A couple songs are (dare I say) better than the original album recordings. I recommend “New Blood” not only for Peter Gabriel fans who know all the songs already. In fact, I’d be curious to learn the reactions of listeners who hear the “New Blood” versions first, then go off and listen to the original album cuts. As always, much more information at PeterGabriel.com. Enjoy.